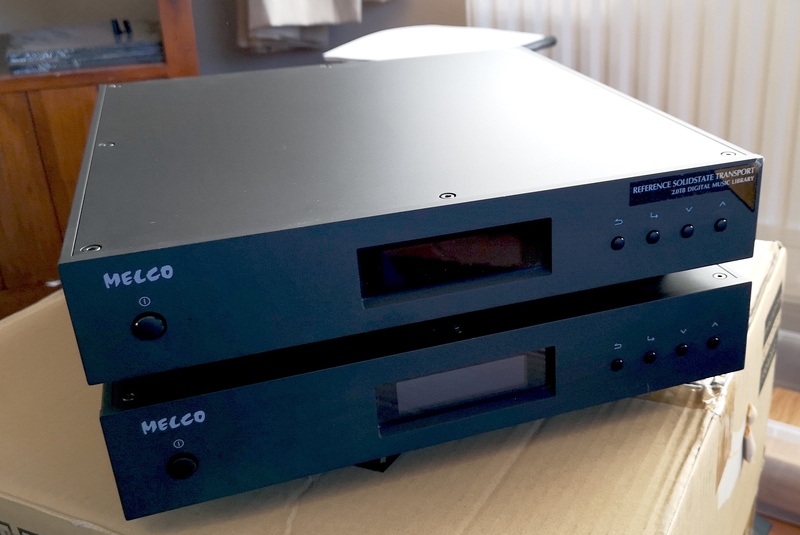 Home/Melco Audio/The Melco N10 and some great part exchange offers! Over the past couple of weeks we have been putting the new 2 box Melco N10 Music Library through it’s paces and comparing it to the flagship N1ZS/2 and the mid-range N1ZH/2. Priced at £6750.00, the N10 is serious bit of kit, housed in 2 boxes – the main head unit (including the hard drive) and the power supply are separated from one another. Don’t make the mistake of thinking that the N10 is just an N100 with a separate power supply, the N10 head unit is a lot heavier using solid aluminum side cheeks and there are many internal differences – it is a completely different machine. The N10 uses the same architecture and chipset as the N1Z models. The power supply is suitably heavy as well – you wouldn’t want to drop either of the boxes on your foot! Case construction is all focused on rigidity and isolation to maximise performance. With having the power supply in another box you completely remove any risk of noise pollution in the delicate audio circuits of the head unit. Connection between the 2 is a simple neutrik cable. Connectivity is pretty extensive given there is not as much back panel real estate to play with compared to the Classic N1 Melco models. As always there are 2 Ethernet ports – one labelled LAN to connect to your network (for streaming Tidal/Qobuz when connected to a DAC, control, metadata retrieval and software updates). The other Ethernet port is labelled PLAYER. This is needed if you are using the Melco with a UPnP network player like a Linn or Naim for example. You connect your network player to the Player port and the LAN port to your network, isolating your player from the noisy network and further improving sound quality. This connection from the PLAYER port to the network player is direct, it is not a common dataswitch. By doing this are no lost packets of data to deal with and no change to packet order either – resulting much better sound quality from your network player. 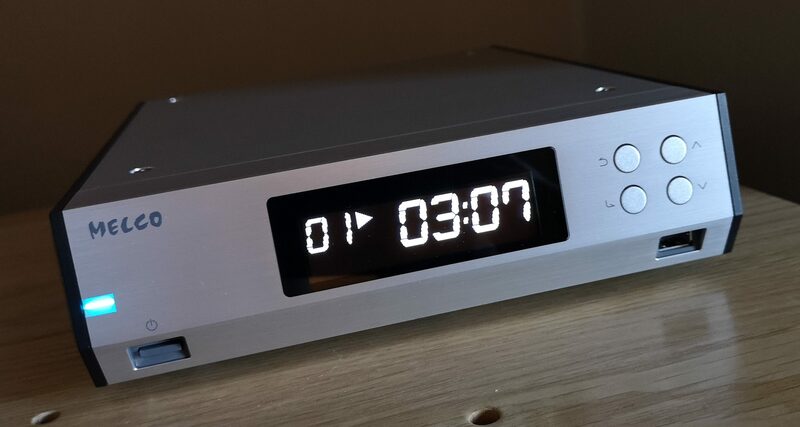 There are 2 USB sockets on the rear panel – one to connect to your USB DAC and another to connect to a D100 CD Drive or an E100 Expansion Drive or a back up drive. There is also a USB socket on the front panel, this can be used for importing from USB drives or an optical drive as well – you could even use a DAC connected to the front. Set up, as always, with Melco is nice and easy, no computer is required to get up and running. Once the N10 was ready to go I imported a selection of albums I always use for demonstrations, along with a couple of curve-ball albums/tracks so I could compare the N10 to the N1ZH/2 and the N1ZS/2 using the same music along with the stuff I’m less familiar with. I’ve documented the differences between the N1ZH/2 and the N1ZS/2 before in a previous blog post. The N1ZH/2 is a fantastic bit of kit, it sounds detailed, dynamic and is a brilliant digital transport. The N1ZS/2 simply gives you a lot more of everything, it sounds much more transparent, natural, refined and paints a much bigger picture than the N1ZH/2. In a good system the difference is always pretty obvious from the moment music is playing and once you’ve heard an N1ZS/2 there’s no going back. Of course, that is not to take anything away for the N1ZH/2, after all it is the most popular Melco machine we sell. The N10 is interesting in that it sits right between the 2 models in terms of price-points. The N1ZH/2 is £4750, the N1ZS/2 is £8750 and the N10 is £6750.00 so in performance terms it should sit right between the 2 models. The curve-ball albums were Sons of Kemet (Your Queen is a Reptile) and Janelle Monae (Dirty Computer) both CD rips, nothing curve-ball about them to be fair – I simply don’t know them that well! Starting with the N1ZH/2 and Leonard Cohen, it sounds exactly as I’m used to it sounding, Ten New Songs is one of my favourite albums and I know it inside out, it’s simply amazing songwriting, coupled with Cohen’s typically bleak and bleary baritone and Sharon Robinson helping out as well on backing vocals. It’s a brilliant album and as always with Leonard Cohen it has been impeccably produced. Switching over to the N10 was interesting. 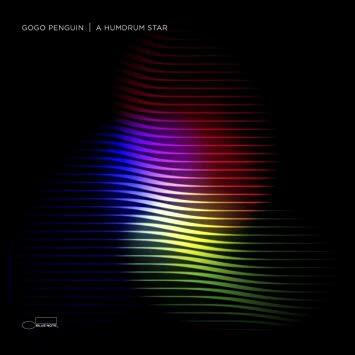 From the opening bars of the first track of Ten New Songs it was obvious that the presentation had changed. My initial impression was that the sound-staging wasn’t quite as big and grand as the N1ZH/2, but to be fair everything was there, the N10 sounded much tighter, more focused and more confident in the way it was presenting the music. There was definitely more going on the in cafe in First Watch with the clattering of cups and Jon Hopkins asking for a receipt! The N10 certainly has greater pace and energy behind it compared to N1ZH/2 and more weight as well, but the one important thing to stress is that neither of them sound digital (I have an Exogal Comet Plus DAC and a Vitus RD-101 DAC here to compare/contrast) and both Melco models are almost effortlessly analogue in their presentation. Going through my playlist again and again on the N10 simply solidified my thoughts, the N1ZH/2 still sounds great, but if you crave more pace, rhythm, air and transparency the N10 is definitely a clear winner between the 2 models. Switching over to the N1ZS/2 was next. 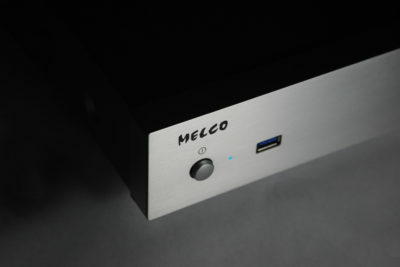 The flagship Melco has always been the star of the range for me. It’s just so musical and hugely engaging, the amount of detail and texture the N1ZS/2 can pull out of a recording is truly wonderful. I don’t recall demonstrating one to someone who hasn’t ended up buying one – people like what it does, simply put it’s a world class source component. To be fair, it does deserve a world class system to truly shine, and it’s hugely rewarding when it does its thing. With the N1ZS/2 connected up and playing Leonard Cohen again the vast sound-stage had returned, but it hasn’t lost any pace, vibrancy or focus either. Moving back to the opening track of Diamond Mine again showed the N1ZS/2 was doing it’s thing over the other models. As you move up the range from the N1ZH/2 to the N10 then on to the flagship N1ZS/2 you get more space and air with a greater sense of immediacy with each step up the range. The N1ZS/2 has an ability to pull really fine detail and subtleties out of a recording that you never knew were there, even on music you know inside out. Both the N10 and the N1ZS/2 are single drive machines, the N10 uses a single 3TB drive and the N1ZS/2 uses a 2TB SSD drive and it certainly appears that the single drive machines are delivering the better performance. The 2 machines do use different drives as mentioned above, the N10 uses a 3TB small form factor drive whereas the N1ZS/2 uses a 2TB SSD. Everyone knows that solid state drives are more expensive to produce but that does not necessarily make them any better for high end audio. 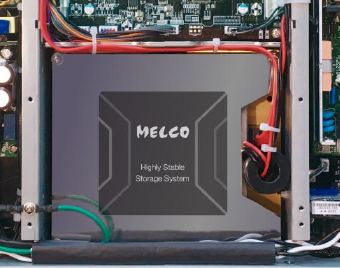 The selection of SSD by Melco always results in a special SSD at much higher cost compared to general IT grade drives used by many other brands. All SSD drives create an electrically noisy environment which isn’t good for high end audio – unless of course you have the twin power supplies of the N1Z chassis coupled with a lot of additional Melco engineering designed to maximise sound quality. My demo 2TB N1ZS/2 has almost 2700 albums on it (about 10% of these are high-res files) and my drive is showing as 70% full – more than enough music for most people and you’ve 50% more storage on the N10 as well. Don’t forget Melco now have the E100 Expansion Drive available as well, so should you fill the internal drive on any Melco model you can easily add an E100 and lose no performance. Every Melco has its place! Which is the right machine to go for? They clearly all have their place. 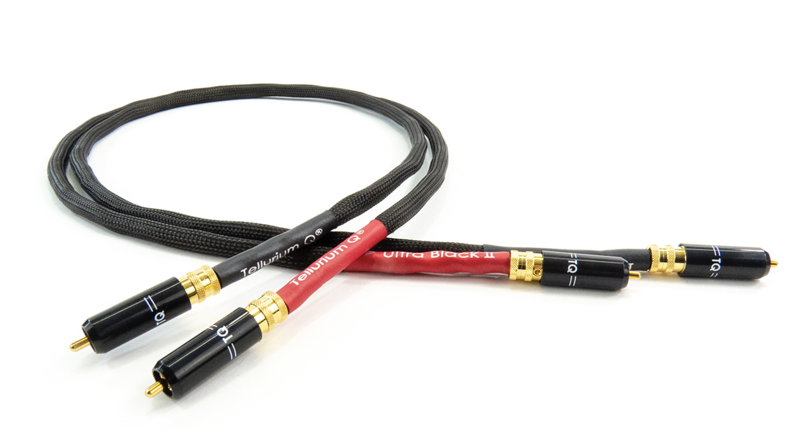 It all hinges on your system, your budget and of course what you like the sound of! As I mentioned earlier the N1ZH/2 is a fantastic machine. 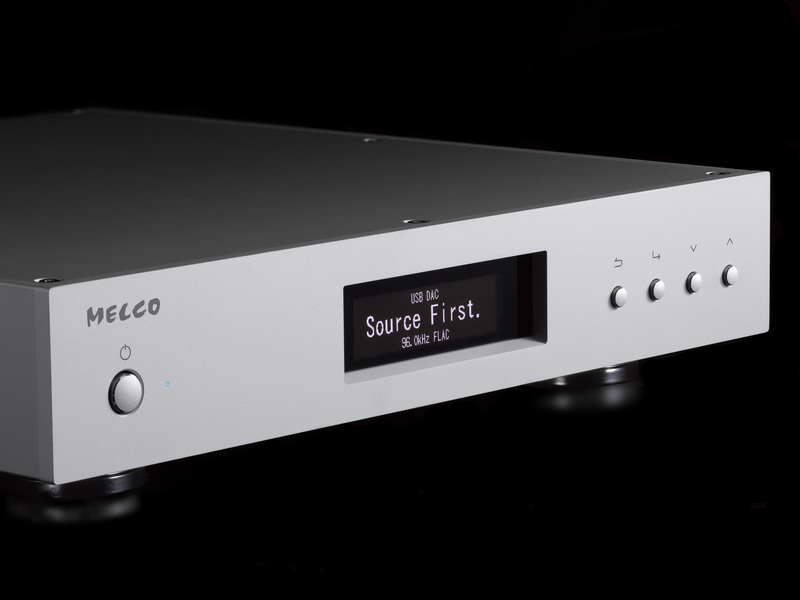 It’s the most popular Melco model we have sold in the time we have been selling them, but even in a short demonstration the N10 sounds faster, tighter, more detailed and airy with more focus and immediacy. After running both side by side for a good few days the N10 definitely justifies it’s price point over the N1ZH/2 in my mind. The N1ZS/2 almost takes the best bits out of both machines and simply gives you more of everything. It has a beautiful and expansive sound-stage that is wide and deep and wonderfully holographic in the way it presents the music. It is much more transparent than the other 2 machines and as a result it’s much more engaging and rewarding to listen to. In terms of a digital transport/streamer the N1ZS/2 is as good as it gets. 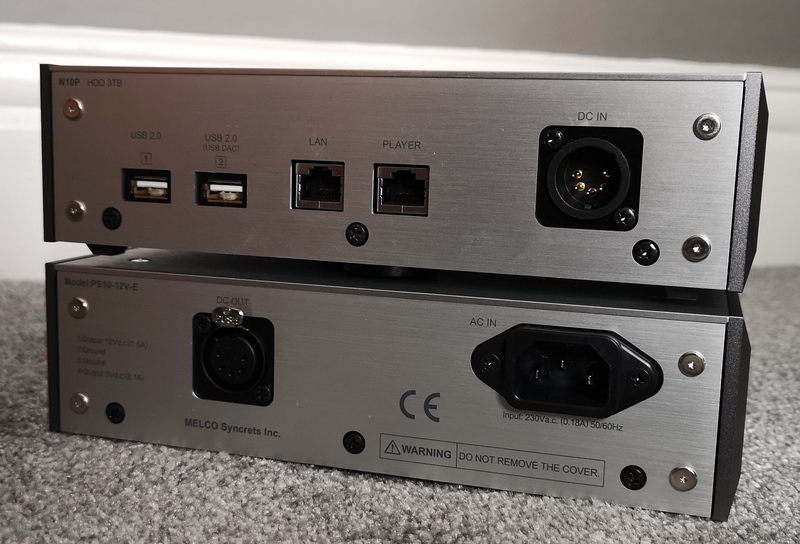 Any existing Melco owners who want to step up the Melco ladder to get more from their music have plenty of options as to which model they upgrade to and we have some rather attractive part exchange prices available to help make the upgrade as pain free as possible. If you have an N1A/2 you want to part exchange please give me a call. Even if you have an Aurender, Innous or suchlike and you want to make the upgrade to Melco, part exchange is absolutely no problem at all. All we ask if that whatever you want to part exchange works(!) and is in good physical condition and has the original packaging/accessories. I’m always at the other end of the phone if you want to chat or email about options and which Melco would be best for you. By Audio Therapy|2019-04-15T05:21:10+00:00April 14th, 2019|Melco Audio|Comments Off on The Melco N10 and some great part exchange offers!